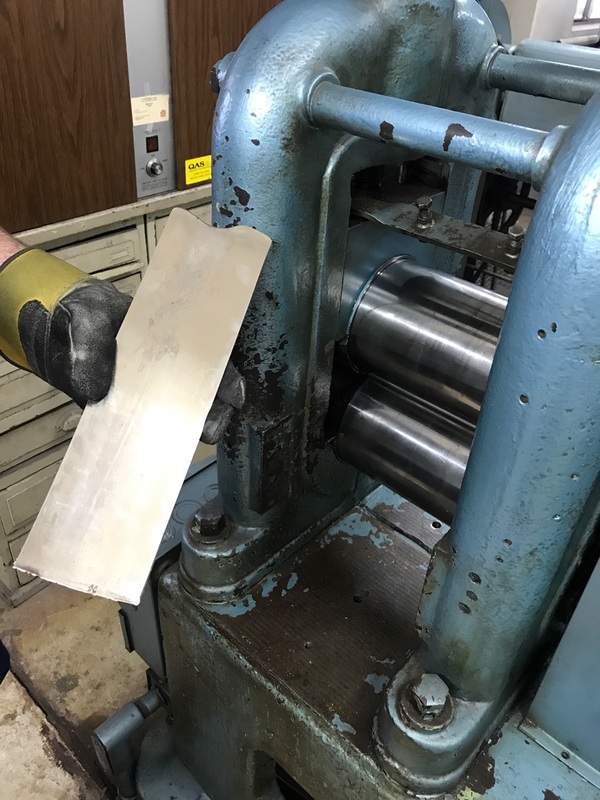 We start with a ½ inch thick bar and reduce the thickness by using a roller. 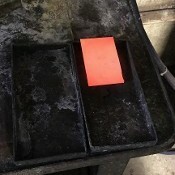 This compresses the density of the metal. 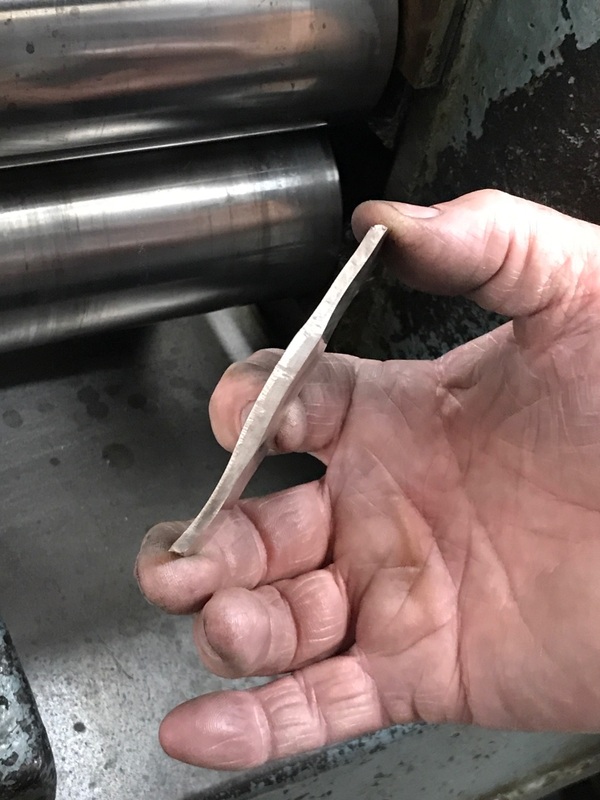 When you work the bar it becomes hard. 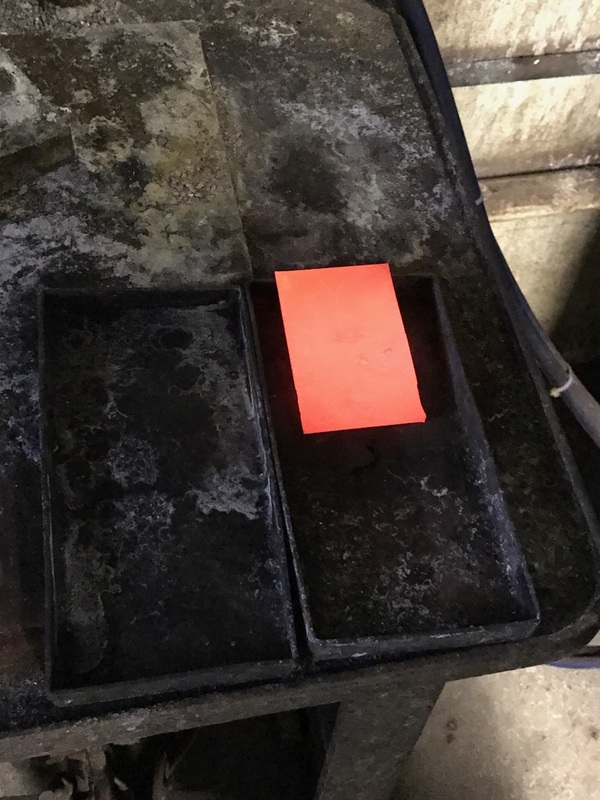 To relieve hardness you anneal and quench in cold water. 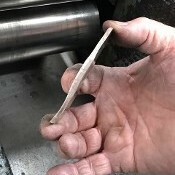 The metal is rolled and then back rolled to the specs for the ring you are making. 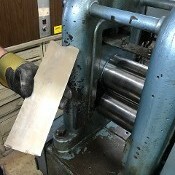 Using a press a blank is created. 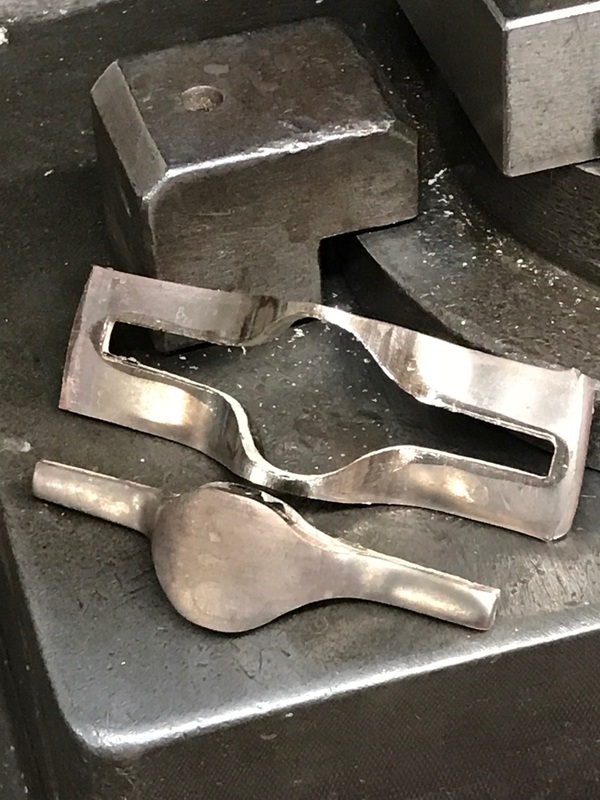 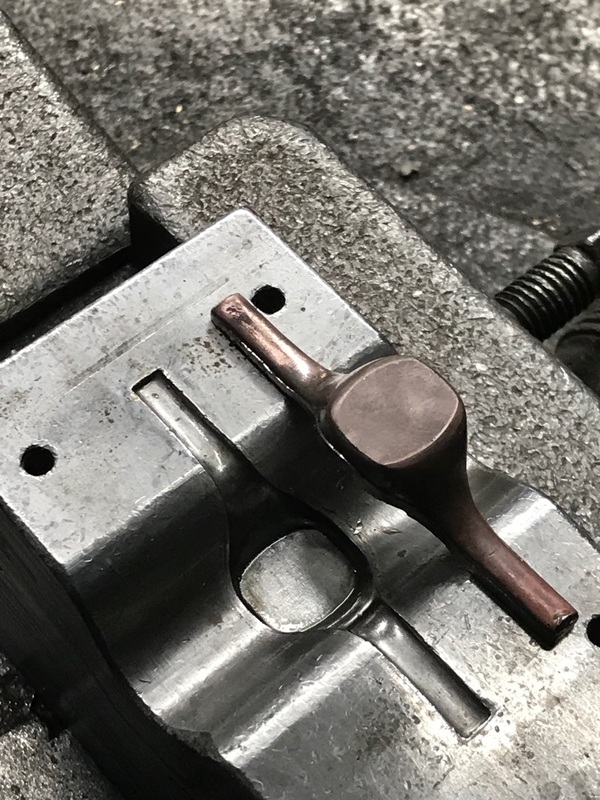 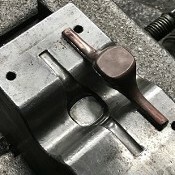 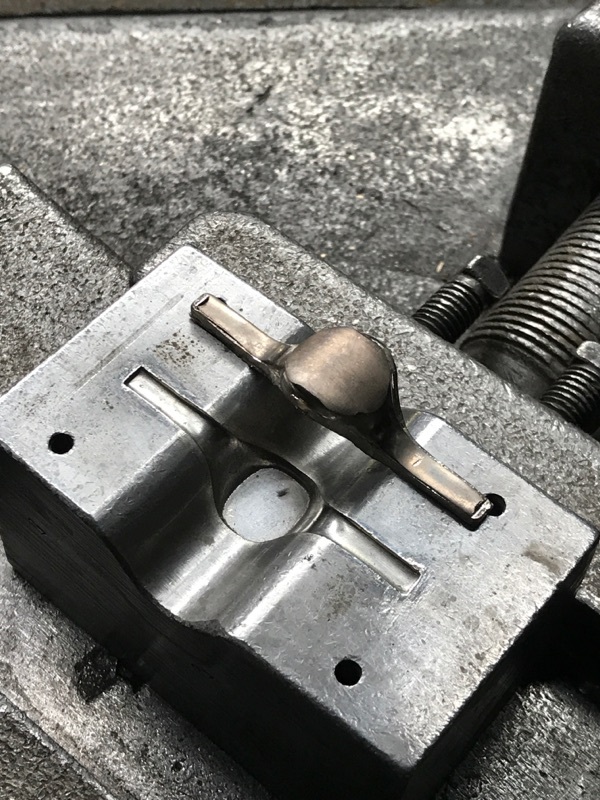 The blank is placed on the die and struck, forcing the metal to start taking the shape of the die. 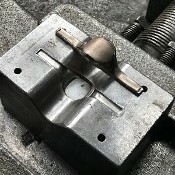 This will also compress the metal and increase its density. 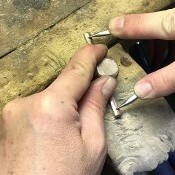 The stamping process is repeated until the detail or the edge of the table is completely formed. 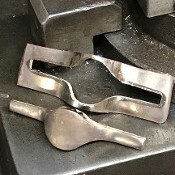 This the same process used in making coins. 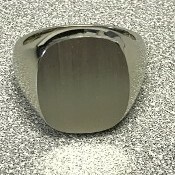 Everybody knows how durable coins are. 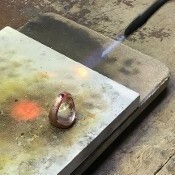 The ring is marked for the desired finger size and then cut. 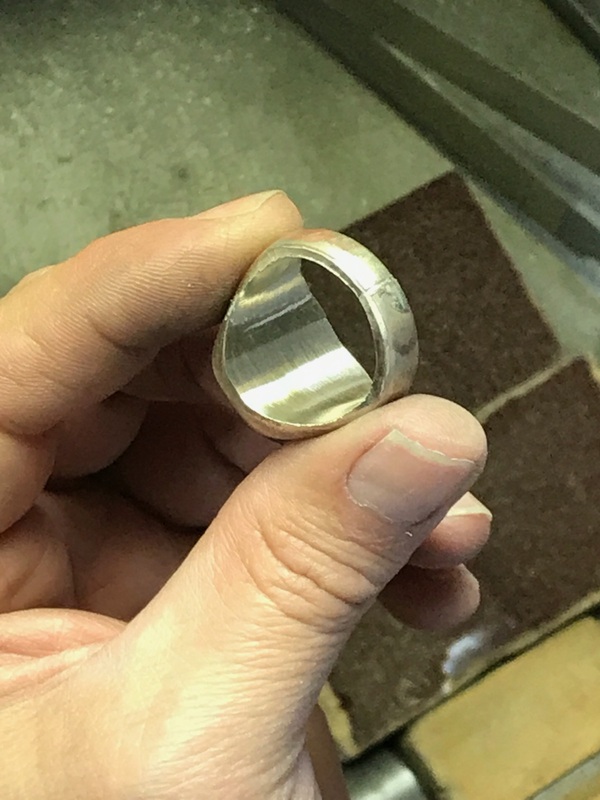 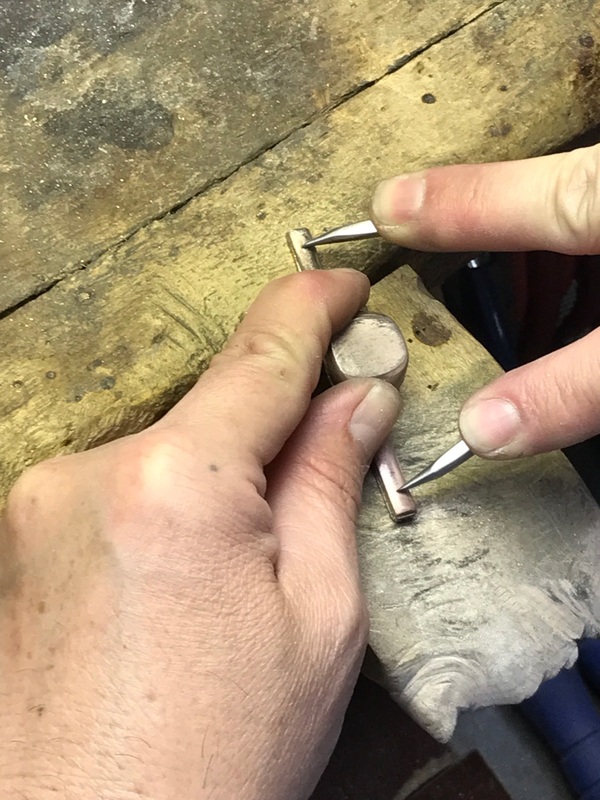 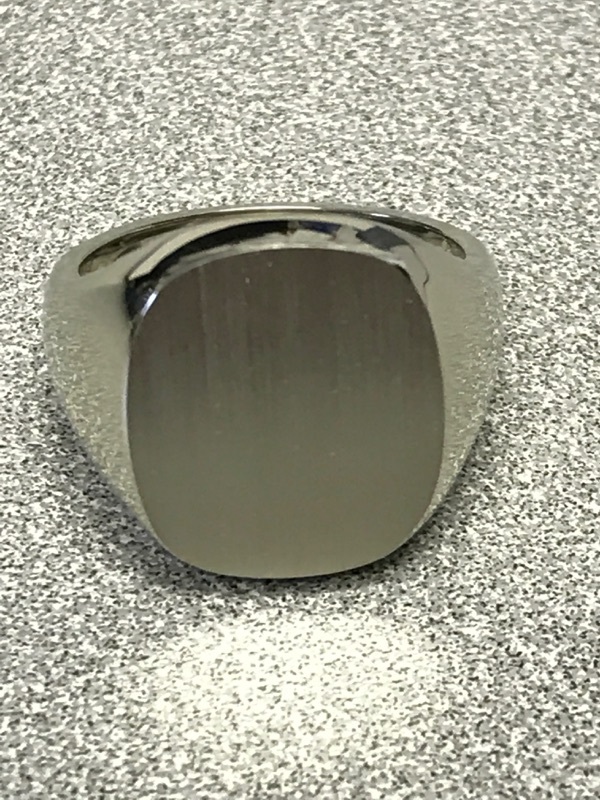 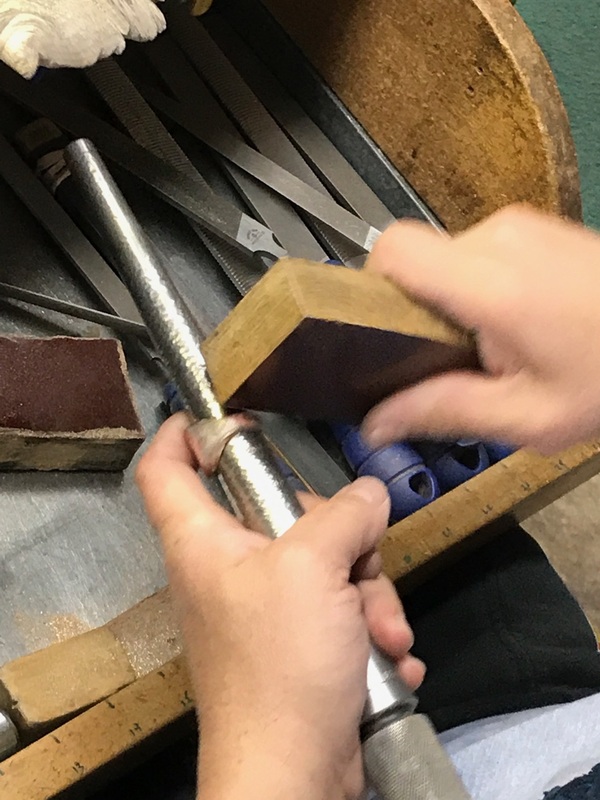 The ring is placed on a steel mandrel and stretched to the finger size making it perfectly round. 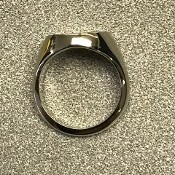 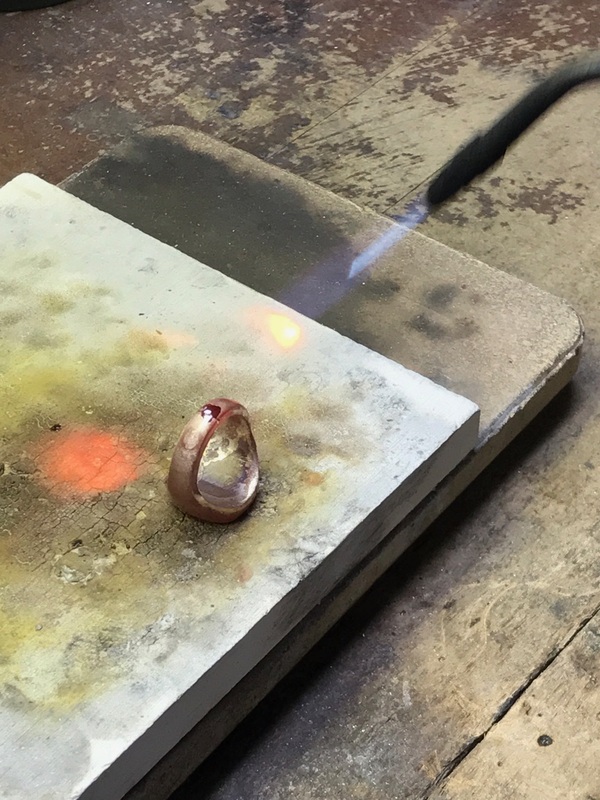 The jeweler then files the ring to shape, matching the head thickness and shape to the rings specs. 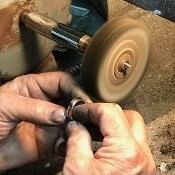 We trademark all of our rings, along with a karat stamp. 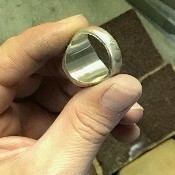 The inside and outside is polished and lapped. 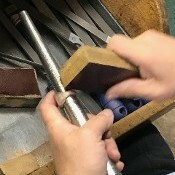 The top is checked to be sure it is completely flat from edge to edge. 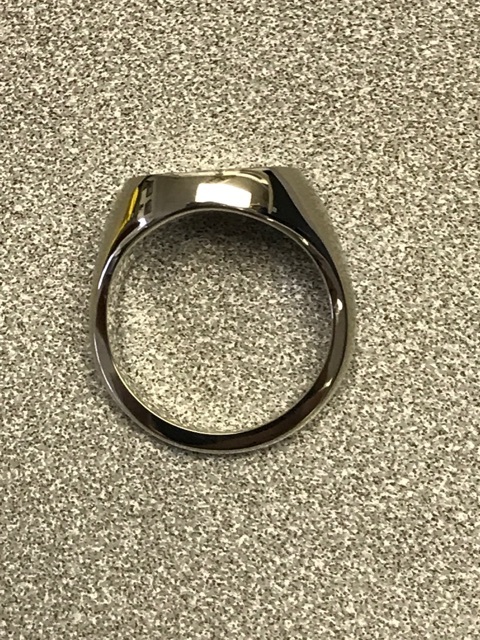 The density of the metal will provide outstanding wear, a flawless finish, and the perfect platform for any engraving. 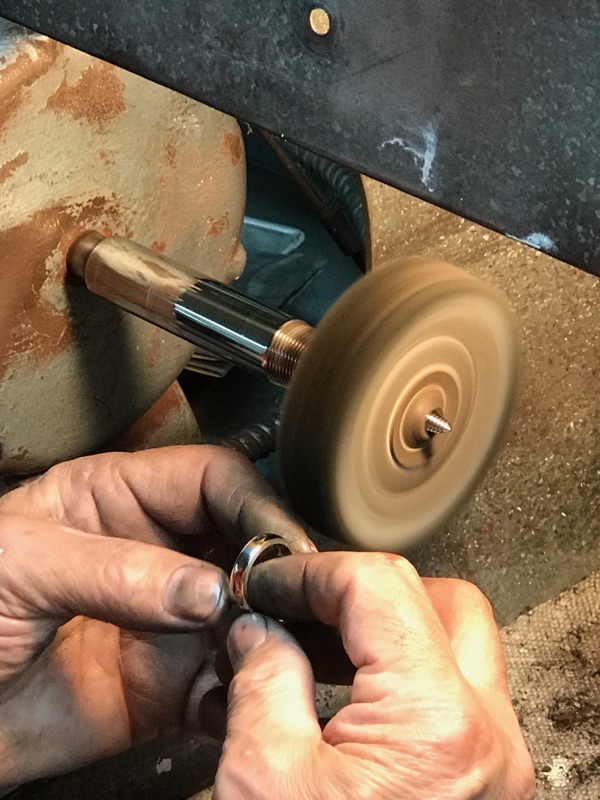 We are proud of our rings and they are meant to be enjoyed, worn daily, and passed down from generation to generation.